Dehydrated preparation for Bearnaise Sauce. 1 - Mix powder with cold water. 2 - Bring to a boil while stirring. 3 - Cook at low heat for 2 to 3 minutes. Stir occasionally. 4 - Add butter in small pieces. Store covered in a dry place. Best Before: see the bottom of the can. For that Mediterranean Flair, incorporate fine minced Kalamata Olives with Chefwise Béarnaise Sauce. 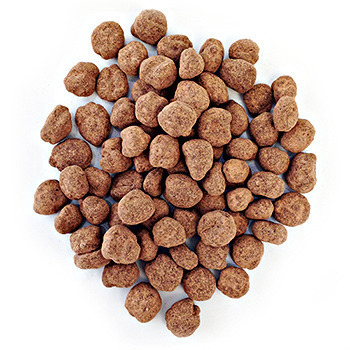 This combination of flavors is perfect for a variety of roasted, seared and grilled beef entré'e9es. Try adding a puree of Roasted Red Pepper to Chefwise Béarnaise Sauce for a finishing touch to a perfectly Roasted Prime Rib. Add elegance to any grilled or broiled fish entré'e9e with tarragon essences combined with caramelized shallots, plus Chefwise Béarnaise Sauce, accented with these ingredients, calls for a standing ovation!! The perfect accompaniment to succulent Black Pepper Roasted Prime Rib eye,Chefwise Béarnaise! Add a touch of freshly grated horseradish into your sauce a match made in heaven! A nice finish to a grilled salmon fillet, try Roasted Artichoke Bé'e9arnaise Sauce, prepared with all the convenience of Chefwise Béarnaise Sauce. 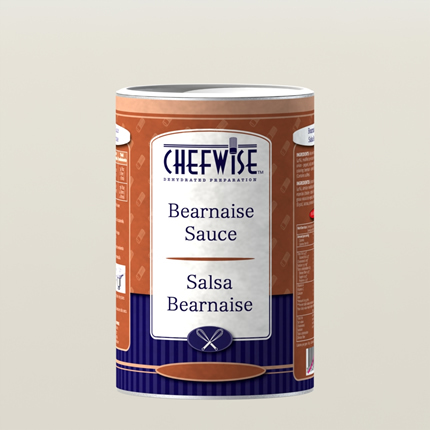 A touch of sun dried tomato puree added to Chefwise Béarnaise, perfect finishing flavor to you cook it and named it!